Look who's kicking up sand and who is providing high speed broadband connectivity in the Algerian Sahara desert from November 1-8, 2018. Wael AlButi, VP/CCO at Arabsat said that Arabsat and his long-lasting partner Divona are pleased to provide high speed broadband connectivity throughout the Algeria Rally event SAHRI international Challenge, Fourth Edition. Arabsat will provide these services as part of Arabsat’s commitment to provide satellite connectivity in Algeria where broadband connectivity can not only strengthen events such as these but also empower the economic growth. Divona is an Algerian telecom operator via satellite delivering services such as internet, data and voice for local and multinational companies in different sectors and mainly in energy, mining and industries, finances and telecommunication sectors. 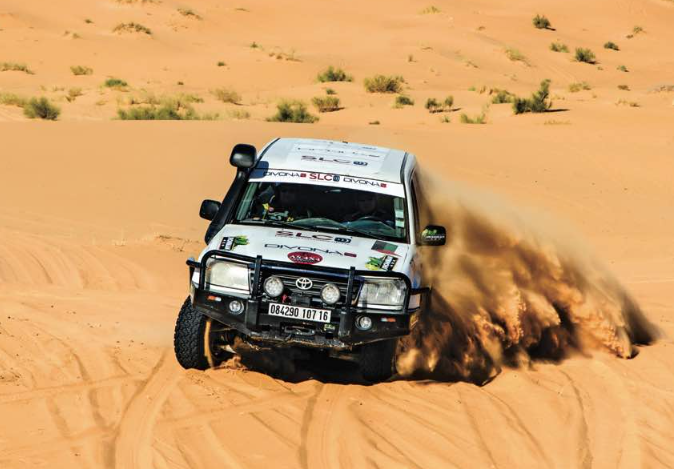 This cultural and sport event will take place over 3300 km, including 2100 tracks and dunes held in the Algerian Sahara from November 1-8, 2018. This international event brings together 69 foreign competitors among a total of 127. Arabist operates a growing ï¬‚eet of satellites at the 20 degrees E, 26 degrees E, 30.5 degrees E and 39 degrees E. ARABSAT is the only satellite operator in the MENA region offering the full spectrum of broadcast, telecommunications and broadband services. Arabsat also maintains strategic partnerships with most of the world's leading satellite companies and VAS integrators and with the acquisition of Hellas Sat, one of the telecom groups in southeastern Europe.